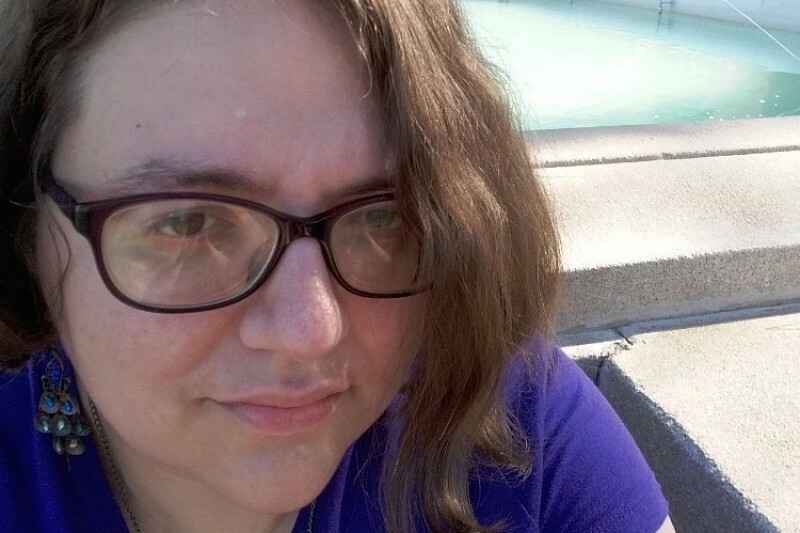 Fundraiser for Barbara Reinhart by Amber Marie Goss : Amber Needs to Graduate! I think most people who see this will at least have an idea of who I am. But just in case you don't I'll go ahead and introduce myself. Hi! My name's Amber and I'm a marvelous medical mystery (or perhaps a mysterious medical marvel). I also happen to be a non-traditional student and I need your help if I'm going to graduate. I don't mean graduate on time, I mean I need your help to graduate. After my divorce four and a half years ago I decided to pursue a degree in my childhood passion, language. Only it turns out that the scientific study of language is called "linguistics". So that's my major and what I'm planning on going to grad school for. I hope to get into the Applied Linguistics program at the University of Victoria. So what does this have to do with medical mysteries? Well, almost two years ago I started experiencing strange and "exciting" muscular shenanigans. My muscles would decide they need to shake, spasm, and just not work with little to no warning. This affected my mobility which in turn made me unable to work. Social Security disagrees with that assessment. I keep asking them who this mysterious employer who doesn't care about unpredictability in actually showing up for shifts andpossible nap breaks (isn't sever fatigue grand?) is but, alas, no answer. This means I have to live on financial aid. "This still doesn't explain the 'help me graduate' thing." Well, the same things that affect my ability to work affected my ability to get to school. Because of missed classes and other adventures I had to abruptly switch to another language for my last two semesters. My major happens to require four semesters of a language for graduation. I'm a sixth year senior and this academic year maxes out my lifetime financial aid. You see the problem. The good news is that I took four years of high school French. The bad news is that was fifteen years ago. 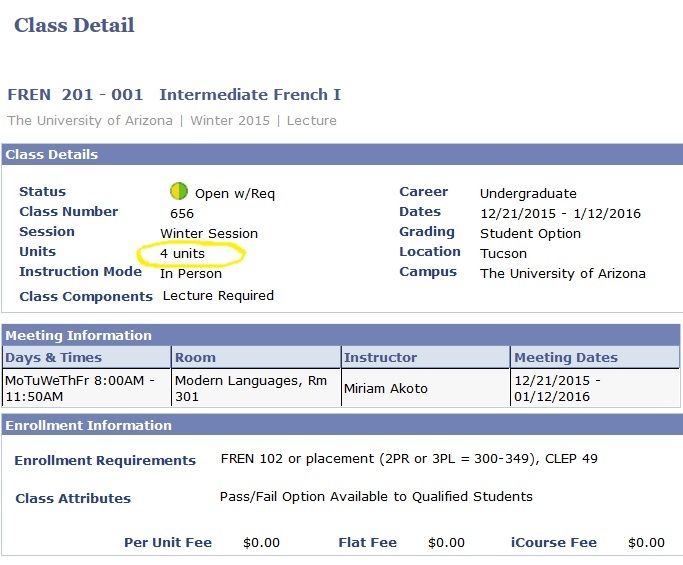 Fortunately I was able to test into French 102. Unfortunately that's still three semesters when I have two left before my lifetime undergrad financial aid is maxed out. All hope is not lost! In between Fall and Spring semesters exists WInter term. French 201 is offered then which means if I can take it in Winter I can take 202 in the Spring. That means I can graduate. If I can't take it, I can't graduate. If I don't graduate then I don't go to grad school, don't get my degree, and have to spend further years fighting Social Security to recognize my malfunctions so I can keep a roof over my head. 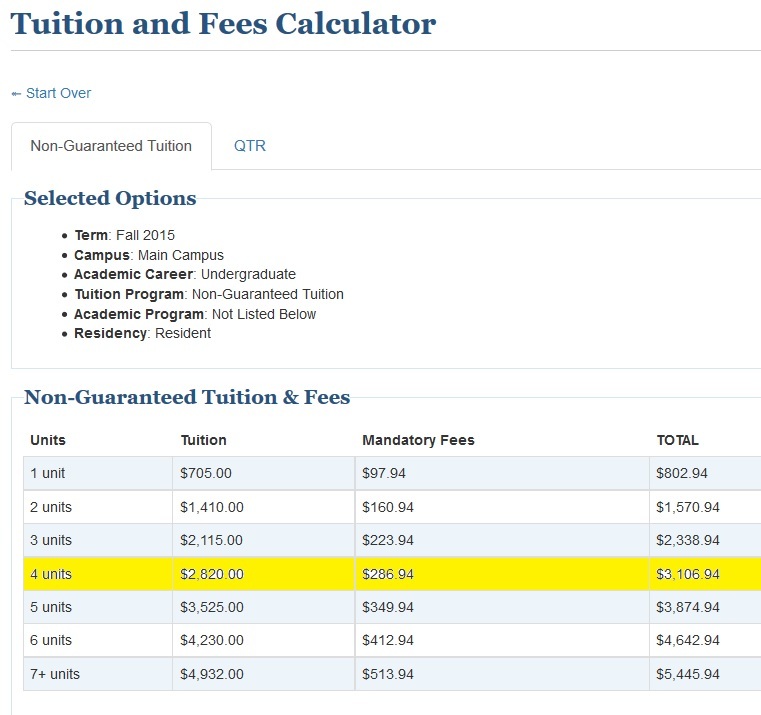 I have rounded up a little in case I've forgotten any fees or haven't figured out the tuition increase correctly. Winter term information won't be available until the end of October so I've tried to figure out numbers based on last year's figures. The bulk of the money is for tuition. 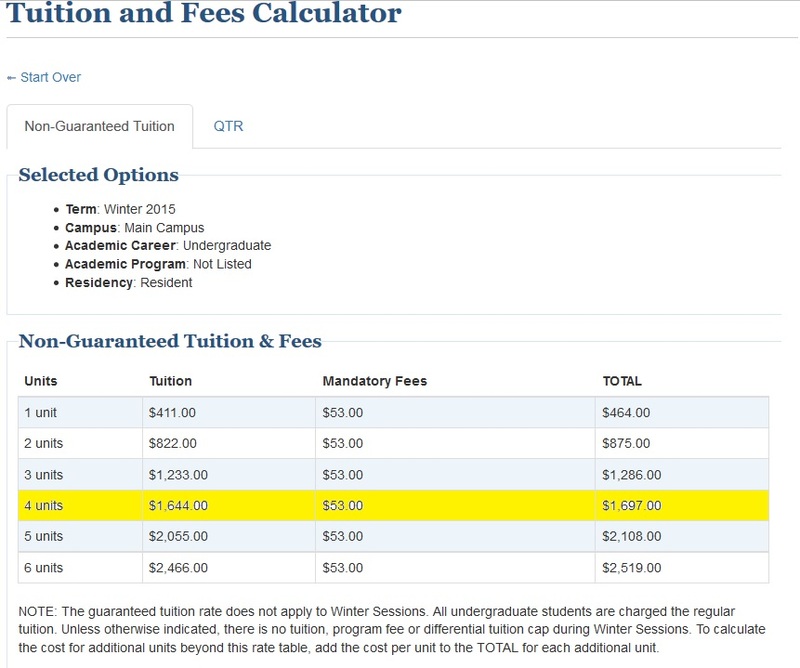 By comparing Fall 2015 and Fall 2016 I figured out a percentage for the tuition increase. I then applied that to Winter 2015. I attempted to figure out the GoFundMe and processing fees and came to a rounded up number of $1750 for Winter 2016 tuition. This is figuring at the four credits required for a french class. This information comes from last year again. 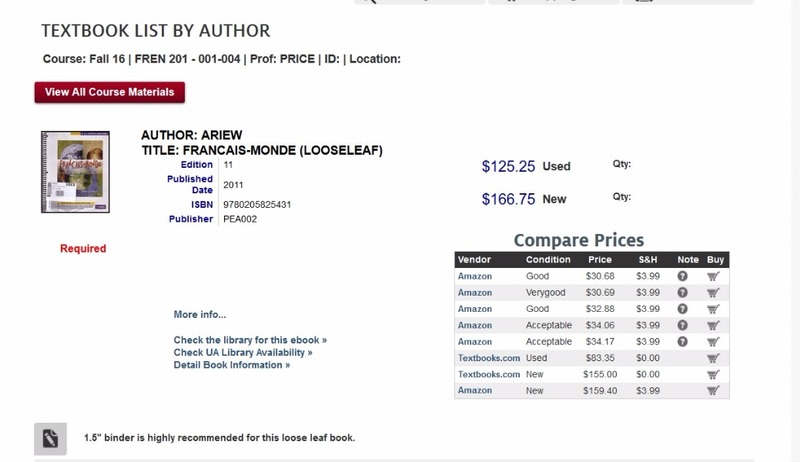 I found the textbook costs from this semester via the school bookstore. Adding this together with my estimates for crowdfunding fees brings me to $175. I have consistently rounded up because I'm not sure I have all the percentages figured correctly. That brings us to $1925. The number I have there is obviously higher. That's because I have to apply to grad school by January 15th for two of the schools and my Spring financial aid disbursement will not likely be in on time. I again tried to add in the crowdfunding fees and rounded up to be safe. Due to the fluctuation of exchange rates I'm figuring as if it were USD. The rounded up estimates I have are $165 and $135. While that total comes to $2,225, I'm rounding up to $2,300 in case any fees or costs have been forgotten. I just need the grad school amounts ($300) by January 1st. The really important deadline is for Winter Term. Tuition is due on the first day of classes. However, going through PayPal means there's a delay in funds appearing in the account. I need to purchase the textbook at least a week and a half before class starts so it arrives on time. This means my best bet for books is getting the $175 by December 1, 2016. 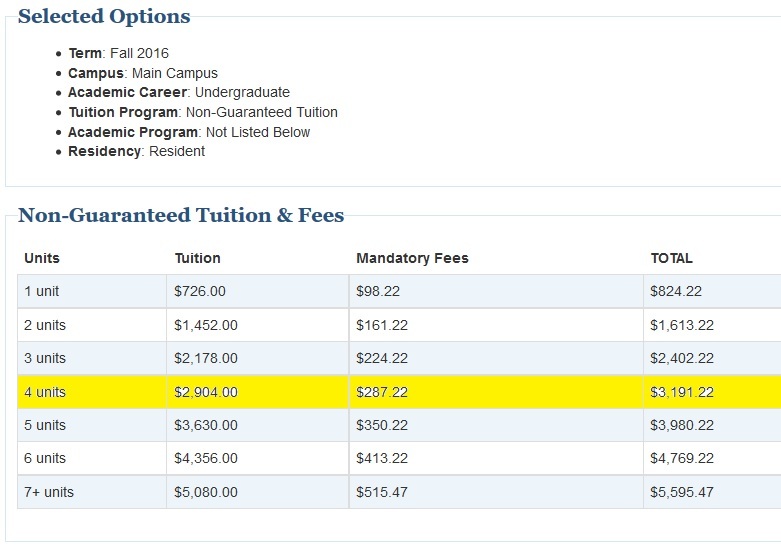 Tuition ($1750) would need to be in the PayPal account by December 12, 2016. If any extra is raised, which I honestly doubt because everyone I know is pretty darn broke, then that will mean that I'll be able to subsist on more than rice and multivitamins over Winter term. It will also help make my move to grad school easier when I graduate. I am really bad at asking for help, but I have to. Helping me is going to ensure my graduation. Graduating means going to grad school. Grad school means having a career that needn't be limited by my mobility. The money I raise is the difference between having a future and merely surviving. I want a future. I want to thrive. I want to have a career that fulfills my emotional and intellectual needs. I believe that getting my degree in Applied Linguistics and pursuing research in language acquisition in relation to language revitalization will allow me to have all of that and do some good in the world. You can help make that happen. I started looking at grad stuff. I thought, "I wonder how much rings cost?" The answer was "hahahaha NO." There is NO way. I'm broke and I have no idea how other broke students are supposed to afford that. The other stuff was more reasonable. I have to admit, it sticks in my craw a bit that I have to pay to graduate after how much debt I went into for school. I get that stuff costs money, but it BOTHERS me. It's only fifty dollars, but with my budget fifty dollars is a lot. I realized I forgot to show you guys my winter term grades! Right now I'm busy with school and am trying to figure out how much graduation is gonna cost me. Sigh. Silly me for not realizing there was a fee for that too. Then there's the tertiary costs for walking, which I want to do for my mom. Phooey. But! Winter term went really well and I'm on tenterhooks waiting to hear back from grad programs. I already knew I wouldn't hear until March but that doesn't dissipate the anxiousness. Keep your fingers crossed! Couldn't crop any smaller on my phone. Keep in mind you can get application fee waivers if you turn in your taxes (or other aid) to prove being broke. I would talk to financial aid. Rock out with your bad self! Well done! Merry early Christmas, I hope this helps. Good luck with getting there!! !